They were in terrible condition, extremely underweight, and filthy. After several months recovering, Elsa was staying at Wyntr, but is now living with her sire, Dash, in a wonderful home. 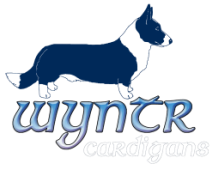 Because of this incident and other unfortunate reports, Wyntr will no longer associate with, or recommend Mackinac to anyone seeking a Cardigan. 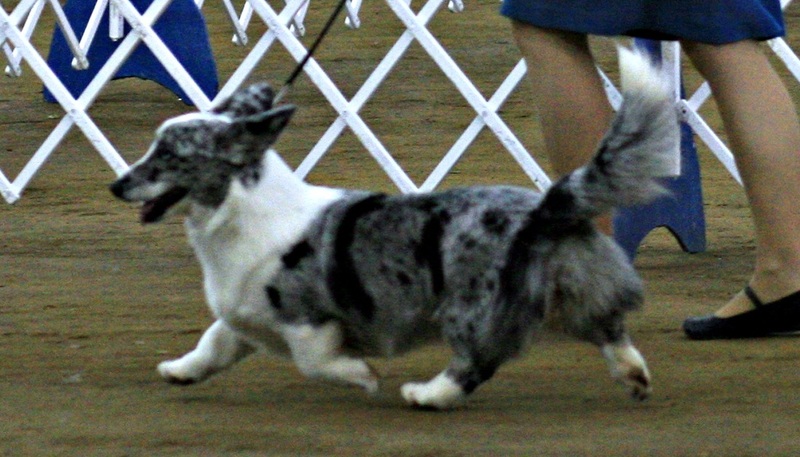 Elsa on the move at one of her first shows. Elsa has grown up into a lovely adult, with loads of personality. 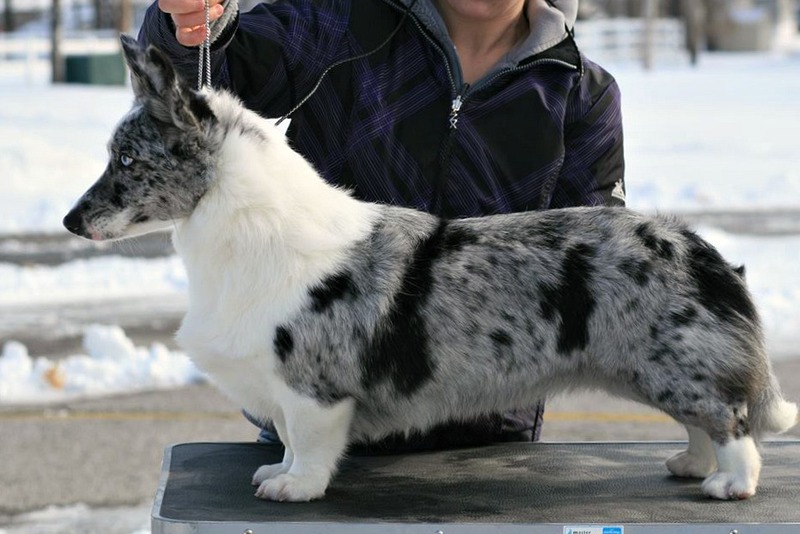 She was shown a few times by her former owner, but never titled, and Mackinac used her for breeding before returning her. 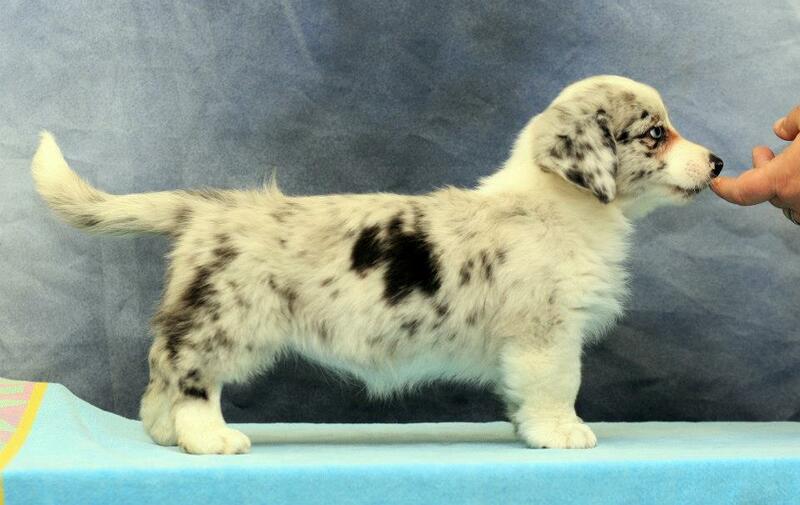 Elsa, 8 weeks. Photo by Dawn Kopp.